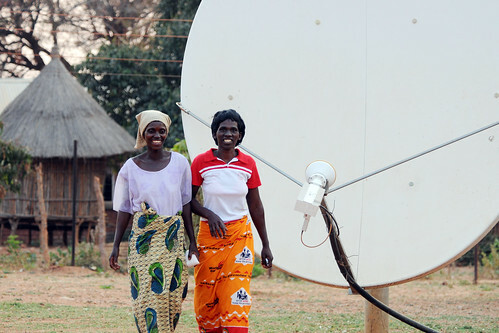 Wayan Vota wrote a great blogpost this week on whether the goals of sustainability and using open source ICT4D are compatible within the context of international development. It is a stimulating and thoughtful piece. I think that Wayan and I have the same overall aims. However I dispute a couple of the assertions that he makes and therefore come to a different conclusion. 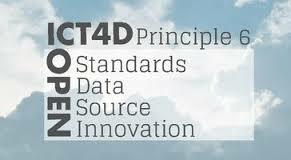 The case for openness in ICT4D has been made elloquently by Matt Smith and others here and here. I know Wayan is a fan of open source in ICT4D based on his enthusiastic support for the Digital Development Principles. However I strongly disagree with his assertion that "open source should not be thought of as free software". I also dispute his claim that "there’s nothing more sustainable in the long term than a profitable company providing a service that people are willing to pay for". It may be that my European social democratic experience informs my perspective whereas Wayan's U.S. free-market experience informs his affinity for market solutions? Probably too simplistic an explanation but at least a segue to my counter-examples. In much of Europe education and healthcare are free at the point of delivery, irrespective of a person's ability to pay. In tertiary education, European colleges and universities co-produce Moodle as a free and open source platform for online education. It is not free of costs to produce and maintain of course, but all participating universities contribute staff time to maintain and develop the code. In this way the costs of maintaining the code base are socialised across multiple institutions and the platform is made free to all at the point of delivery. Ability to pay is removed as an obstacle to accessing essential services. Using the same logic there is no reason why a network of international agencies could not collaborate to maintain the code base of some core open source applications for development - making them free at the point of use to any non-profit. It is insulting to non-profits to suggest that we must choose between 'scrappy non-profit abandonware' or sustainable services bought from private companies. This false dichotomy does not accurately reflect the breadth of real world examples or choices available. I would also counter Wayan's claim that "there’s nothing more sustainable in the long term than a profitable company providing a service that people are willing to pay for". Whilst company fortunes fluctuate wildly and markets boom and bust, I claim that in fact there's nothing more sustainable in the long term than an international coalition of universities and non-profits like UNICEF collaboratively building and maintaining open source software that is free to all, irrespective of ability to pay.